The Senate on Tuesday confirmed Kelvin Droegemeier, a former member of the National Science Board, as director of the White House Office of Science and Technology Policy, Federal Times reported Thursday. 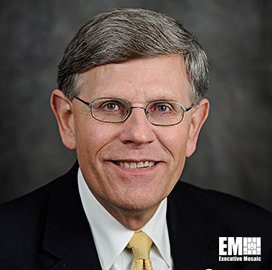 President Donald Trump announced in late July his intent to nominate Droegemeier for the lead role at OSTP. Droegemeier serves as a meteorology professor and vice president for research at the University of Oklahoma. He cofounded the NSF Science and Technology Center for the Analysis and Prediction of Storms, served as deputy director of the NSF Engineering Research Center for Collaborative Adaptive Sensing of the Atmosphere and led the Sasaki Institute at the University of Oklahoma. He served as vice chairman of NSF and as a consultant to the National Transportation Safety Board, Honeywell, Continental Airlines and American Airlines.